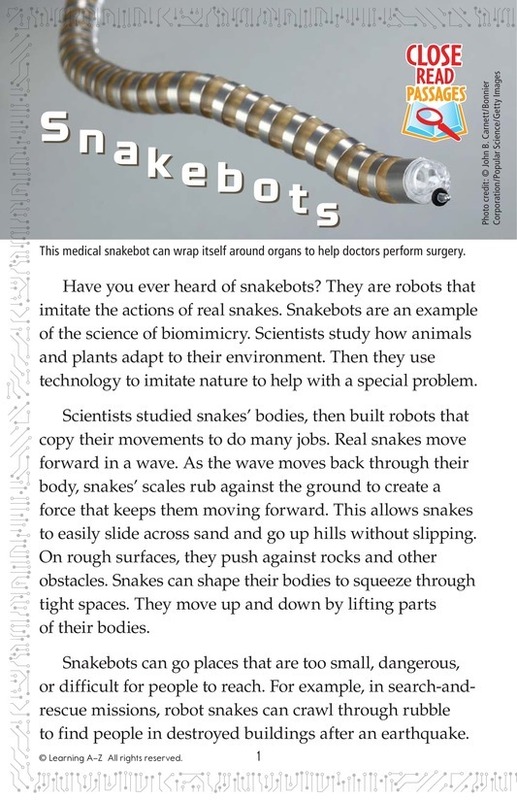 Snakebots are robots that imitate the actions of real snakes. They are an example of biomimicry. 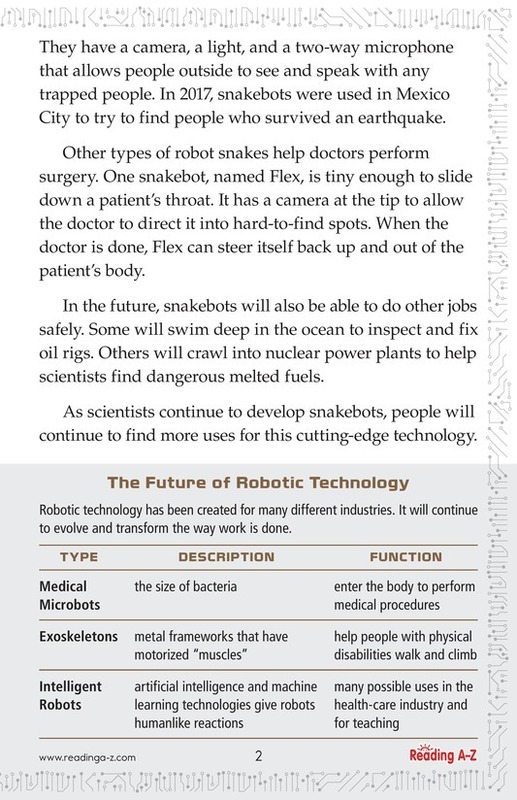 Snakebots go places that are too small, dangerous, or difficult for people to reach. For example, they are used in search-and-rescue missions and to help doctors perform surgery.